The original Boler uses a 10 gallon water reservoir located either under the dinette floor under the trailer or in the drivers side dinette seat. Due to age these reservoirs are often brittle, cracked, broken or just plain gross with 40 years of accumulated crud. How would you like a water reservoir that is inexpensive, you can clean, is easy to refill, and you can even put a block of ice in to keep the water cool? 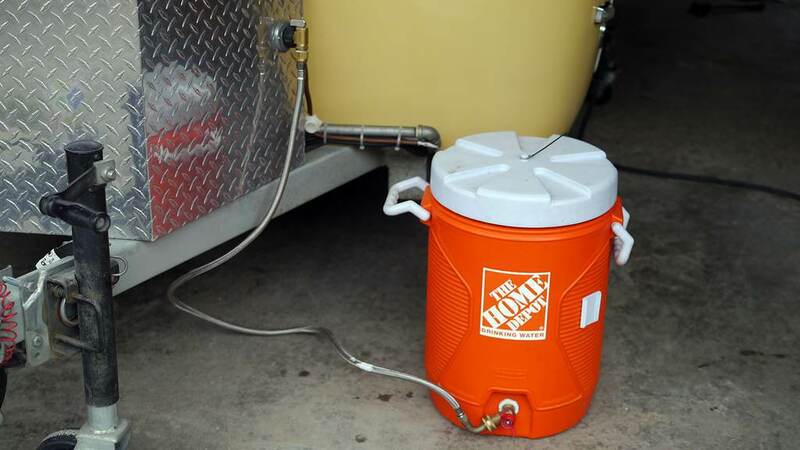 The following is the solution I use on my Boler, it takes a little bit of work, but is easy enough to be build by most using parts from your local home improvement store. 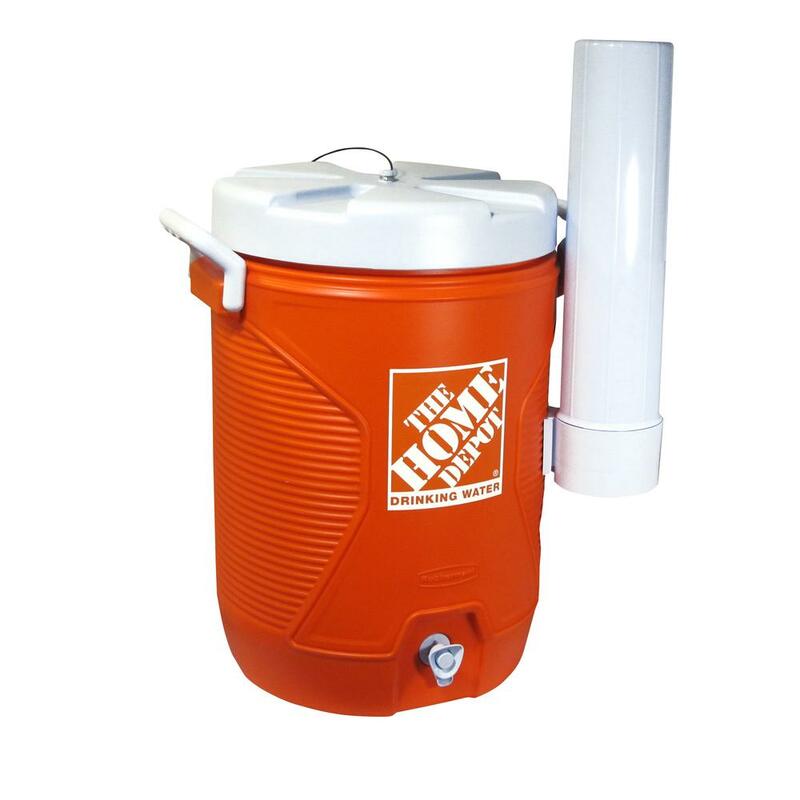 The reservoir I use is a commonly available 5 gallon sports water cooler, any water container could be used but my experience is that most plastic container make the water tasting “yuck” where water left in this type of container seems to taste much better. I am going to start the instructions for this modification by starting with the water inlet into the trailer, this is probably the biggest modification. since the original water reservoir was in the trailer, the inlet has to be moved so it can draw the water from the outside, this may sound complicated but it is actually quite simple. Because the water reservoir is now on the outside you need to install an outside water inlet into the trailer similar to the street water inlet is currently on the drivers side. 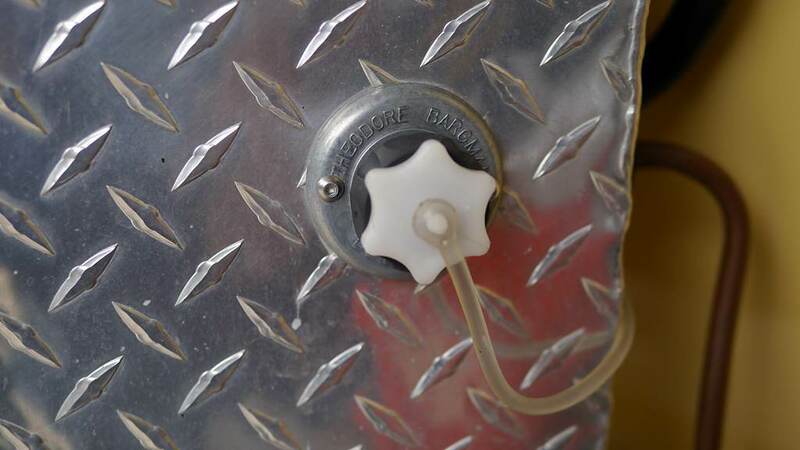 Mount the inlet in an appropriate location on your trailer and connect the line inside the trailer either to the inlet on you original hand pump, or if you have upgraded to an electric water pump then connect it to the inlet of the pump. With the inside plumbing finished lets look at the outside, to draw water out of the reservoir it can be as simple as placing a hose from your newly installed fitting into the reservoir, although this will work we want to make sure the water cannot be contaminated from outside sources. 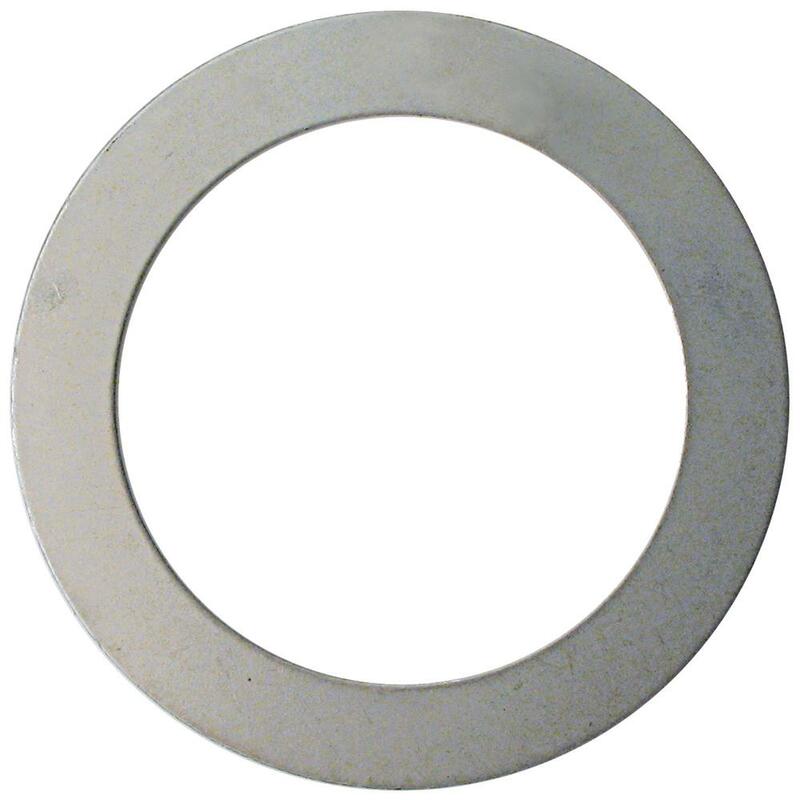 The simplest method would be to drill a hole through the lid the diameter of the inlet tube, inset the tube through the hole and you are ready to go. 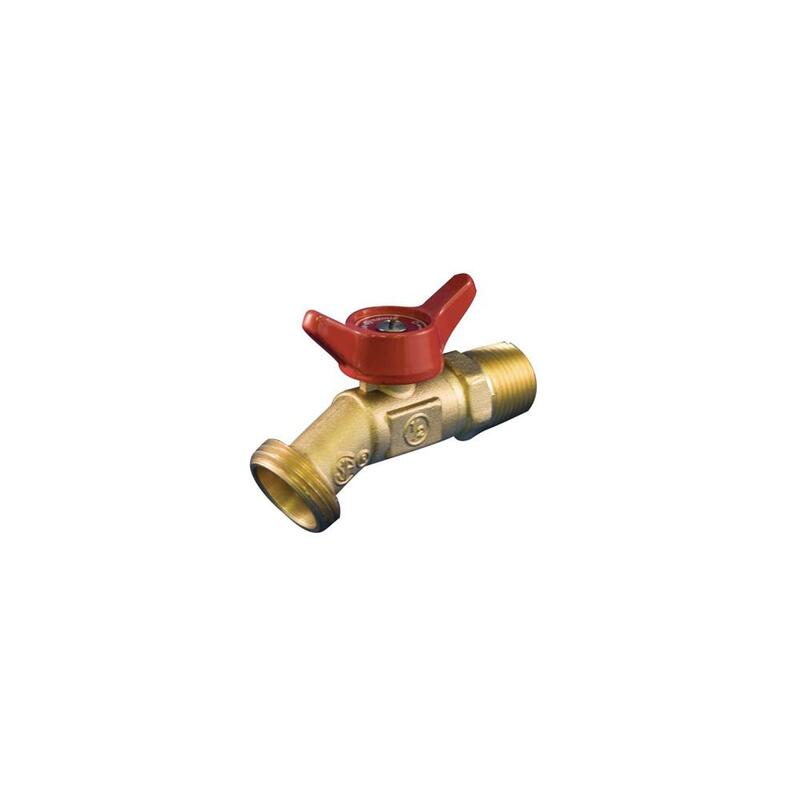 For those looking for something a little more durable, a better option is to use some commonly available home plumbing fittings to replace the original spout with a valve which draws the water from the bottom of the container. Remove the spigot from the bottom of the container, mine was held on with a plastic nut on the inside, keep all these parts as you will need the rubber gasket later. Place the large washer over the pipe thread on the valve and insert into hole in container where original spigot was. 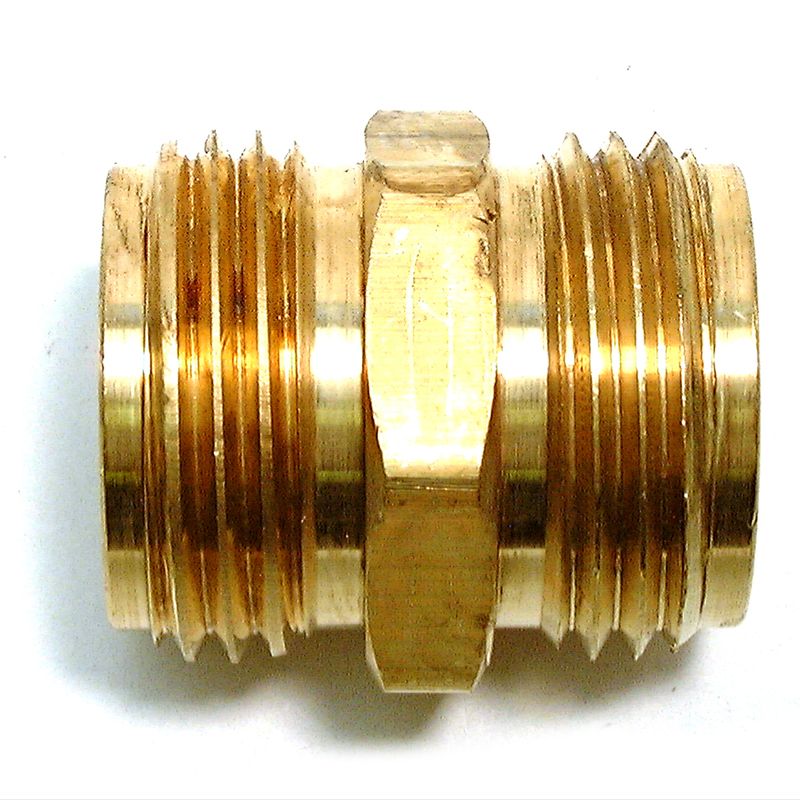 Place the rubber seal that was originally behind the spigot and screw the 3/4″-1/2″ plastic bushing onto the valve, (spacers may need to be added between the bushing and the container so the valve is held tight and seals to the container) Make sure any items used are safe for drinking water use. Once the valve is tight fill the container with water and test for any leaks, some adjustment shimming and “playing” may be needed to create a good seal. To connect the reservoir to the water system simply connect the washing machine hose from the valve on the water reservoir, then using the male to male hose adapter connect, to the inlet you installed on the side of the trailer. Open the valve and loosen the lid slightly to allow air into the reservoir, if you don’t a vacuum will be created as water is drawn and will reduce or prevent flow. 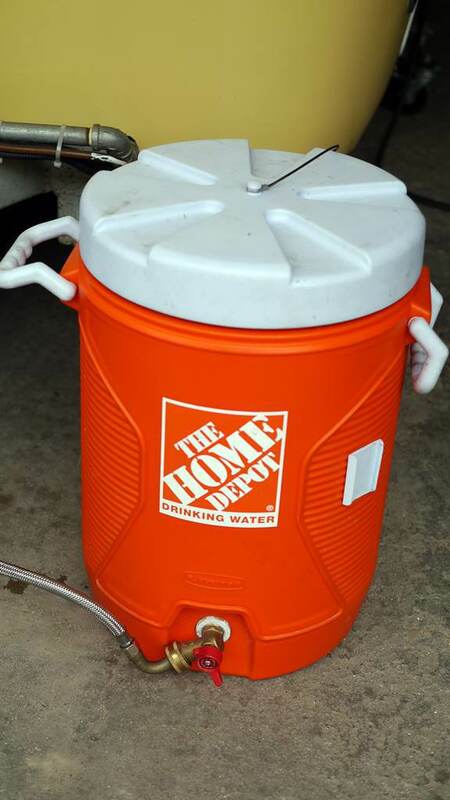 You will appreciate the ease and convenience of this modification, when you run out of water you can easily refill the reservoir, no need to move the trailer, just disconnect the reservoir, take to the tap and fill it up. If the water in the campground is questionable you can refill with 5 gallon containers of bottled water. 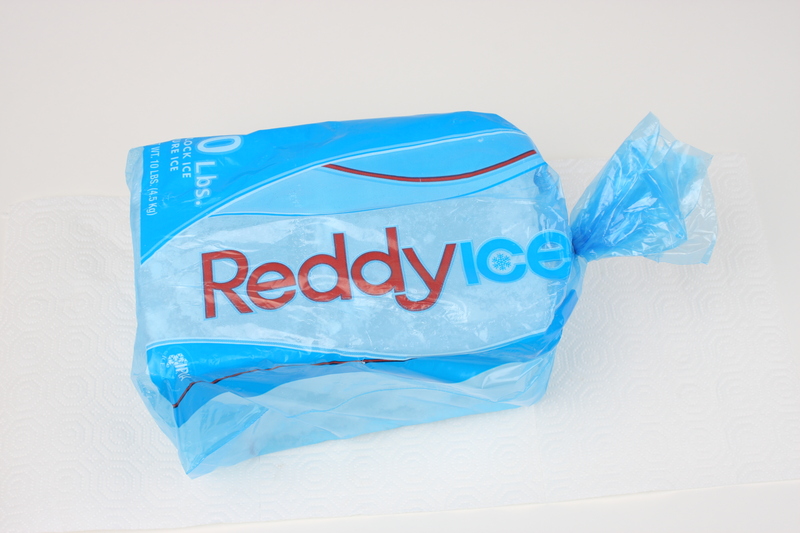 One of the best features in on a hot day you can add a block of ice and enjoy cold water. With the large lid on the reservoir it is easy to thoroughly clean the inside regularly, that plastic flavoured water becomes a thing of the past. I think we are going to also borrow this idea. Great site. Hi Steve. I am not sure it it will draw, the suction side of an electric water pump is much weaker than the pressure side. I would be tempted to try it as it may work, if it does not then just remove the back-flow valve (or you may have to replace the street water inlet with a non-valved type) With the water pump installed the way I describe the valves in the pump act as the back-flow valves. Thanks Ian, After looking some more at the current set up (diner tore out right now, need to replace floor due to water damage) I believe the pump has a back flow regulator so a simple drain on the outside like has been suggested should work. Exactly the way mine is set-up Steve. The pump actually uses 2 valves within the pump chamber, but in this application the inlet valve prevent backflow. How about just adding a “Y” splitter to the inside of the existing city water inlet, one with individual shut-offs on each of the splits. You could then avoid having to install a new inlet, and just adjust the valves, depending on what water source you have. Great Idea that I may copy. Actually you don’t need 2 inlets or the “y”. 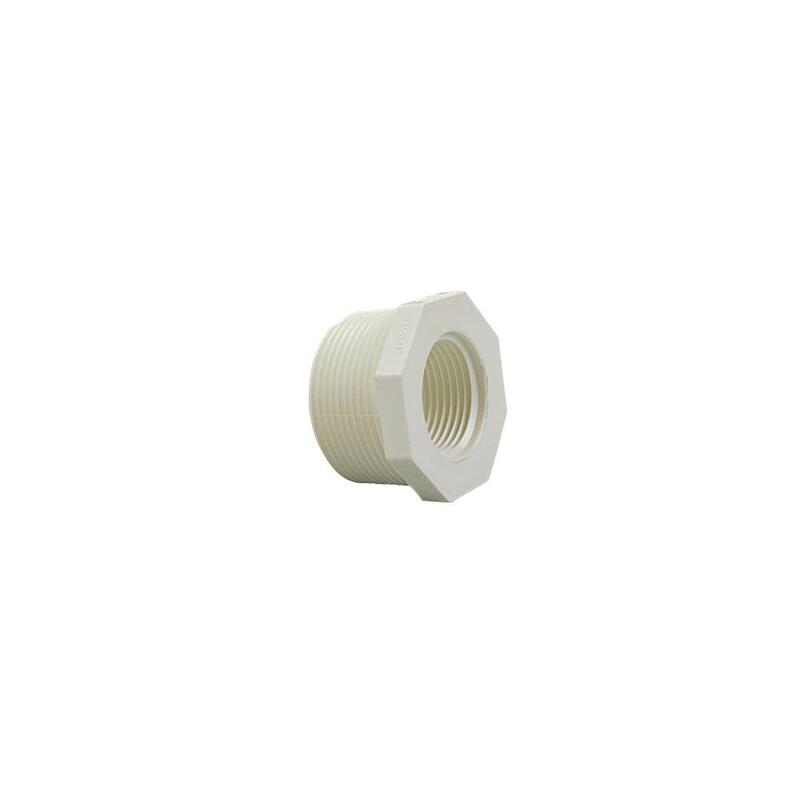 Use the single street water inlet with the water pump installed in that line between the inlet and the faucet. 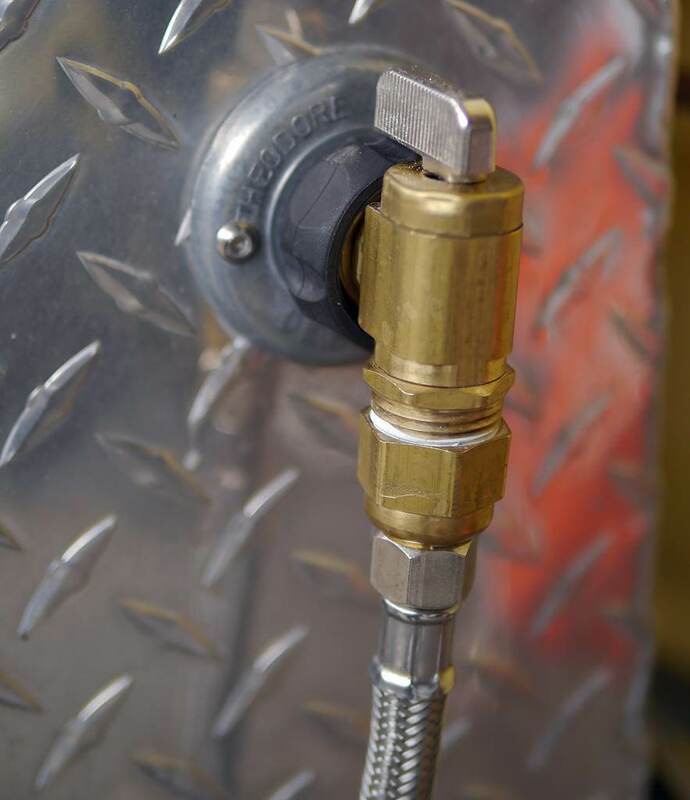 Connect the hose from the external reservoir to the water inlet on the trailer, turn on the pump and water is pressurized to the faucet. For connecting to street water just connect the hose to the same water inlet on the side of the trailer, water will flow through the pump to the faucet. Just make sure you use a water pressure regulator when connected to street water to prevent too much pressure in the pump. Ian, I’m looking at doing this mod soon. 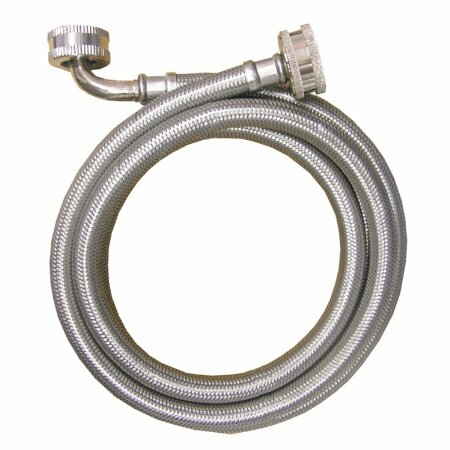 My question is, if I hook do your external tank and plumbing exactly as you describe, and then connect the washing machine hose to the “city” inlet, does the water still go through the pump? I.e., would my spanking new pump work to pull water from the outside tank… and would I need anything else to make this work? Thanks for all of your advice and great ideas! Yes, when you use the reservoir you need to turn on the pump to supply water to the system. When connected to street water you connect to the same inlet line but no need to turn on the pump, the water will just flow through the pump. 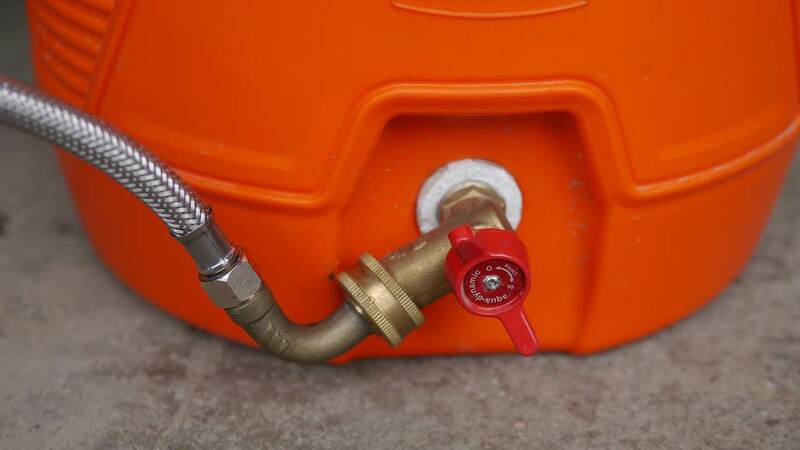 It is very important to use a water pressure regulator when connected to street water, this limits the water pressure to 40 psi which is what your pump will produce, without the pressure regulator some campgrounds can have very high pressure (some around 100 psi which could damage the pump. This is an amazing wealth of knowledge and resources! I appreciate this so much Sir! About to go look at our first Boler here in a few hours and I am using your buyers guide to ensure we are getting into a decent rig. Thank you for your comments, good luck on your Boler purchase, please let me know how you make out. Great modification! I have just installed this in my boler and found that the back-flow check valve in the brand new external water hookup definitely needed to be removed in order for the 12v pump to work. The back-flow spring was too strong to allow water to run freely through the connection into the pump. the little Sur-flow pump was only pumping air until I removed the back-flow valve! I used clear potable water hose from the external water input to the pump so I could easily see that no water was getting past the valve.